When the hot and humid days of summer finally arrive, I crave cold, crunchy, rainbow-colored veggies, and delicious dinners that don’t require a lot of heat to prepare. This recipe, adapted from food52, is my dream summer dinner: fresh, colorful veggies, cool noodles and adjustable spice. Quick, easy and super delicious, it became an instant favorite at my house. 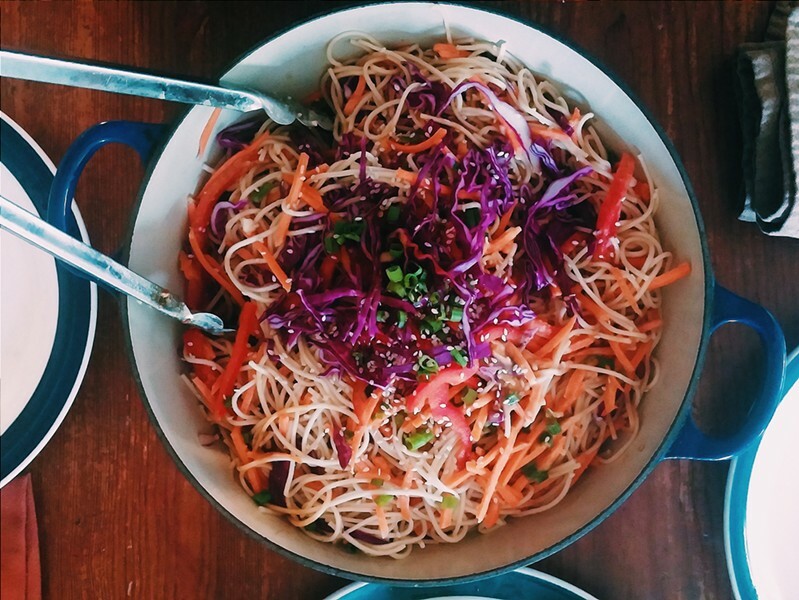 Next time you feel like take-out pad Thai on a steamy weeknight, give this a try instead. 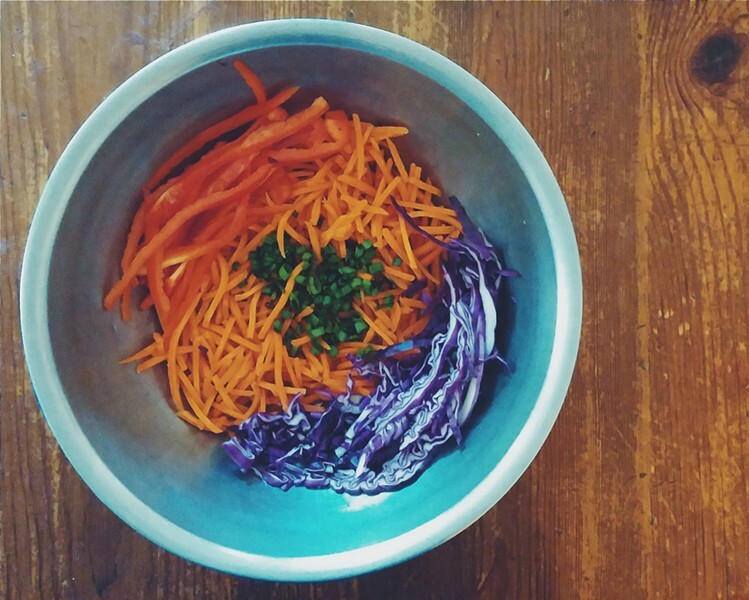 Prepare all of your veggies and combine them in a bowl. The noodles will cook quickly, so you want to have the veggies ready to go. Cook the noodles according to package directions. Drain, then rinse well with cold water to stop the cooking process and cool them down. Set aside in a large bowl, big enough so you can toss everything together. While the noodles are cooking, combine the ingredients for the sauce and let sit for a few minutes. This will help the peanut butter start to break down and make it easier to stir. Use a whisk or fork to mix until well combined and fairly smooth. When the noodles are done, add the veggies, pour the sauce on top and toss well to combine everything. Garnish with sesame seeds and a handful of scallions. Serve with extra tamari, hot sauce and crushed peanuts if you like. This is great on it’s own, but equally delicious with grilled chicken or tofu!